A truly unique event! With special permission from the Mackintosh Collection to hear Mackintosh's letters performed for the first time in public, documenting the life of Mackintosh. Followed by Afternoon Tea - 1pm. Tickets £30 Available from Digi tickets. 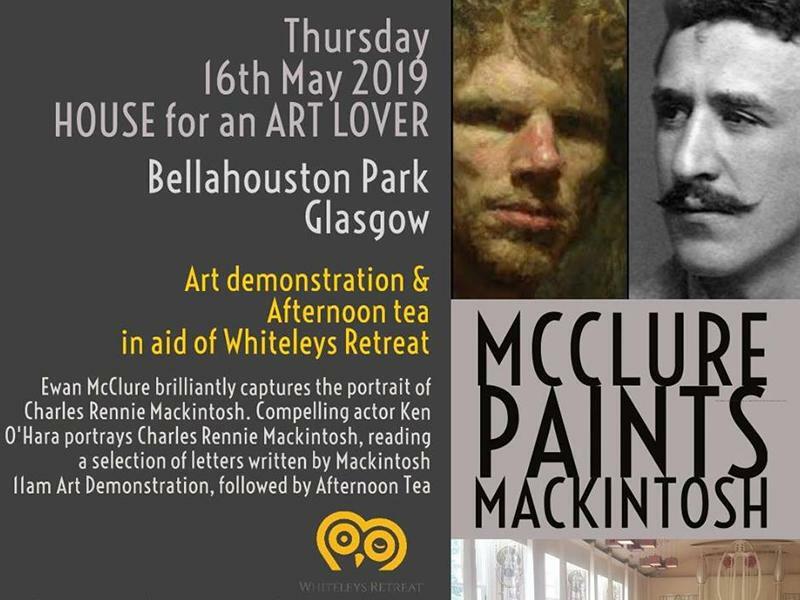 While we take every opportunity to ensure the details for McClure paints Mackintosh are accurate, we always advise that you contact the event organiser before setting out for the event to avoid disapointment.